As a followup to yesterday’s story about Russian Uranium officials collusion with the Clintons in order to gain access to the U.S Uranium supply, the Hill reports that it spoke to the attorney of the American businessman who served as an undercover FBI confidential witness. According to the attorney, the FBI mole was blocked by the Obama Justice Department from telling Congress about conversations and transactions he witnessed related to the Russian nuclear industry’s efforts to win favor with Bubba and Hillary Clinton and influence Obama administration decisions. 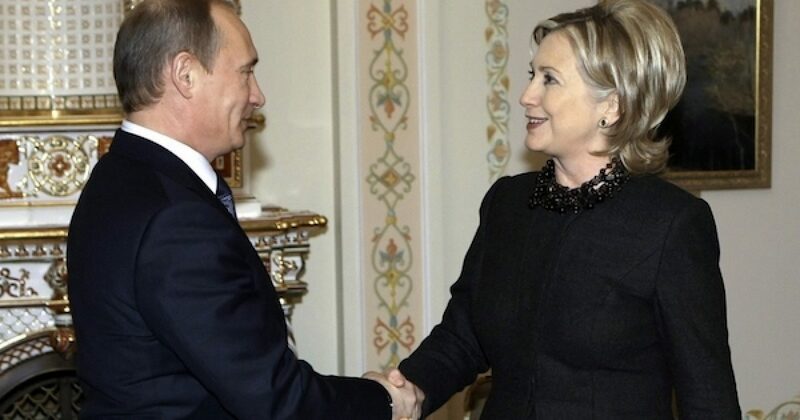 In 2009 the year before Team Obama approved the Uranium One deal giving Putin control of twenty percent of American uranium, the FBI had compiled significant evidence that Putin’s nuclear industry officials “were engaged in bribery, kickbacks, extortion and money laundering designed to grow Vladimir Putin’s atomic energy business inside the United States, according to government documents and interviews.” That American businessman was a big part of the information gathering. When one combines the evidence above along with the first part of the story revealed yesterday and the FBI’s admission that James Comey began to write his exoneration of Hillary Clinton speech two months before the FBI was done interviewing key witnesses, it is clear that the Obama administration easily sacrificed national security and justice, in order to ensure that Hillary Clinton would be elected POTUS. Wrong again!